Danessa Myricks is a professional makeup Artist, Photographer and Creative Cosmetic Expert best known for her eponymous brand, Danessa Myricks Beauty. Danessa has also created robust educational resources to help others learn how to successfully start a career in makeup and build a successful business. She has authored bestselling books on contour, highlight and color for makeup artists, whilst producing seminars globally featuring her best techniques. 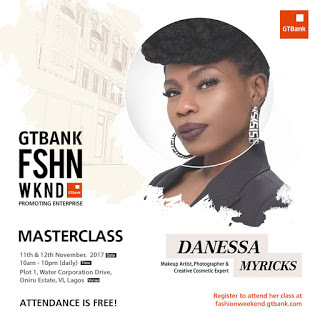 Click here to register for her masterclass.